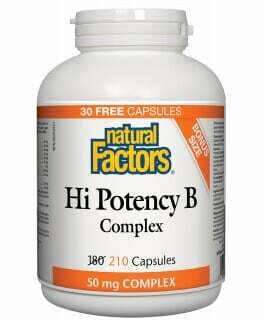 Pantothenic Acid, also known as Vitamin B5, is a water soluble antioxidant. It plays an important role in the metabolism of fats, proteins, and carbohydrates. Without it, you would not be able to utilize these macronutrients as energy sources. 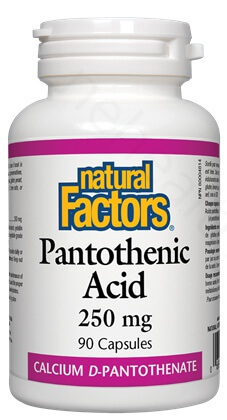 What Are the Key Health Benefits Associated with Natural Factors Pantothenic Acid? 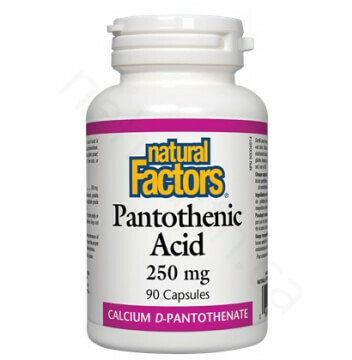 What are the three forms of Pantothenic Acid? Panthenol: Provitamin of B5, is generally used in cosmetic products as a moisturizing agent. It can be quickly absorbed into our skin and is one of the most important ingredients in numerous ointments for sunburns and minor skin disorders due to its anti-itch and anti-inflammatory properties. Calcium pantothenate: It is mostly used in the treatment of acne. Besides, it can also promote weight loss, alleviate headache, improve athletic performance and endurance. Calcium pantothenate has shown to prevent hair loss and support cardiovascular health. 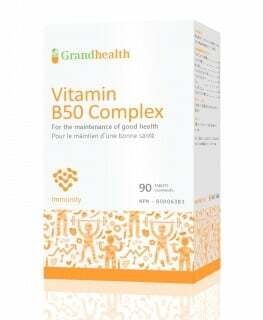 Vitamin B5: It is commonly used for wound healing. Non-medicinal ingredients: Gelatin capsule (gelatin, purified water) , rice starch , vegetable grade magnesium stearate (lubricant). 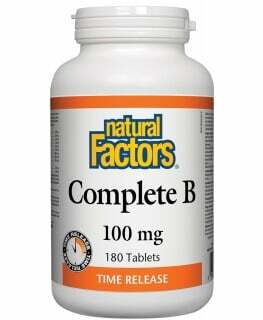 1-2 capsules daily or as directed by a health care practitioner. Dumm, Mary E., et al. "Relation of pantothenic acid to white blood cell response of rats following stress." Experimental Biology and Medicine 71.3 (1949): 368-371. Hurley, Lucille S., and Agnes Fay Morgan. "Carbohydrate metabolism and adrenal cortical function in the pantothenic acid-deficient rat." Journal of Biological Chemistry 195.2 (1952): 583-590. Guehring, Raymond R., Lucille S. Hurley, and Agnes Fay Morgan. "Cholesterol metabolism in pantothenic acid deficiency." Journal of Biological Chemistry 197.2 (1952): 485-493.